Attorney Timothy Lenahan won’t allow anyone to take advantage of his clients. As an example, his office points to a case where an injured young man was offered $10,000 by an insurance company to quickly settle a case after a serious injury. Attorney Timothy Lenahan demanded and successfully negotiated a multi-million dollar settlement needed to pay for the young man’s life-long medical care which will include numerous surgeries in the years to come to continually stabilize his spine (See more details under: Recoveries). This is the type of work to which Attorney Lenahan has dedicated his professional life. Attorney Timothy Lenahan has won tens of millions of dollars for clients and has often been recognized for his success on behalf of the seriously injured and their families. Honors have ranged from being named by Best Lawyers in America as their Personal Injury Lawyer of the Year to being recognized as one of the Top 100 Lawyers in Pennsylvania by Super Lawyers Magazine and many more. Attorney Lenahan serves Lenahan & Dempsey as Managing Partner. 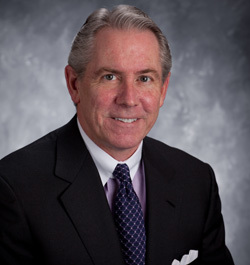 Timothy G. Lenahan has devoted his professional practice to helping injured people and their families following an injury. While he takes cases across the Personal Injury spectrum, he has a particular interest in both traditional and highly complex car accident cases, truck and bus accidents, defective products, general negligence and medical negligence. Attorney Lenahan has also been a pioneer in Insurance Bad Faith law in Pennsylvania (see below: Insurance Bad Faith). He has successfully handled cases in the local and state courts as well as the Federal Eastern and Middle District Courts of Pennsylvania, The U.S. Court of Appeals for the Third Circuit and the Pennsylvania Supreme Court. Attorney Lenahan is widely recognized for his groundbreaking work in the field of Insurance Bad Faith (see more below: Landmark Case) that helped establish the legal obligation of insurance companies to treat injured people fairly after filing an injury claim. If an insurance company is not treating you fairly, call Attorney Timothy Lenahan immediately at 1-888-536-2426. Attorney Timothy Lenahan has won tens of millions of dollars through verdicts or settlements negotiated on behalf of injured people or their families. He enjoys fighting for the rights of individuals against large insurance companies or corporations. Timothy Lenahan often speaks of his distaste for bullying tactics used by insurance companies to pressure injured people to settle quickly – often for far less than they deserve. He illustrates one particular case where a young injured client was badly injured in a car accident. The insurance company tried to get the young man and his mother to settle the case for $10,000. Attorney Lenahan recognized the young man would need extensive spinal surgeries, most likely every few years for the rest of his life. Attorney Lenahan stepped in and successfully negotiated a multi-million dollar settlement needed to make sure the young man had the ability to pay for what will be life-long medical care. Attorney Lenahan was trial and appellate counsel in the landmark bad faith case, Hollock v Erie, 2004 Pa. Super. 13, 842 A.2d 409 (2004)(en banc). In this case, Attorney Timothy Lenahan helped establish the obligation of insurance companies to treat an injured party fairly when they file an insurance claim. The case is widely viewed as establishing the rights of injured individuals in Pennsylvania. Martindale Hubble Listing of AV Preeminent 5.0 out of 5.0 – the highest possible rating from this distinguished legal publication. Ratings come from Judges and peers who have personally observed the work of the honored Attorney. Board Certified Civil Trial Advocate since 1988, a designation held by fewer than 4% of practicing attorneys. Certified Pretrial Advocate by The National Board of Trial Advocacy since 2012 (the initial year this designation was introduced). Honored as one of the Top 100 Trial Lawyers In Pennsylvania by the National Trial Lawyers Association. Named as a Pennsylvania “Super Lawyer”, as published in Philadelphia Magazine, every year since 2005. Attorney Timothy Lenahan offers all those who are injured, or their family members, free, no obligation consultations where he will evaluate your case. Call 1-888-LENAHAN (1-888-536-2426). Like all Lenahan & Dempsey lawyers, Timothy Lenahan does not charge any fees unless he is successful in getting injured clients the money they deserve following an injury. Lenahan & Dempsey finances all accepted cases and pays for all experts needed to help prove your case, including doctors, nurses and other medical experts as well as engineering experts or experts in other fields needed to win your case. And again, they do not charge any fees unless they are success for you. *The Best Lawyers in America ® 2011. Copyright 2011 by Woodward/White, Inc., Aiken, SC Selection criteria for Best Lawyers can be found here. **Personal Injury Lawyer of the Year designation is for Northeastern and Central PA, The Pocono Mountains region and the Lehigh Valley for 2015-2016. ***Full information on Super Lawyer selection criteria can be found here. ****The facts of each case are different. No specific results are implied. Descriptions of awards in previous cases are no guarantee of future results and should not create any expectations that our firm, or any firm, can achieve similar results in another case.